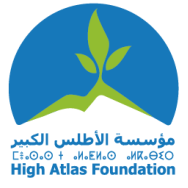 Moroccan communities are being invited to plant thousands of trees donated by the High Atlas Foundation (HAF) on Monday 21st January 2019 ‘Tree Planting Day’ – an annual planting event coordinated by the Foundation – contributing to economic, social, and environmental development across the Kingdom of Morocco. “We invite not only farmers and community associations to get involved, but also schools, parents’ associations, women, cooperatives, children, interfaith groups and all those that would like to participate in planting this season’s life-giving trees,” said Dr. Ben-Meir. “We will be coordinating planting events in the Provinces of Al Haouz, Azilal, Boujdour, Errachidia, Essaouria, Fes, Marrakech, Oujda, Taroudant, and Taza,” said Dr Ben-Meir. Using plants provided by HAF nurseries (partnering with Ecosia) and the High Commission of Waters and Forests, the Foundation expects to donate over 8000 organic fruit tree saplings and medicinal plants to communities for Monday’s Tree Planting Day. This will include high-value crops of argan, almond, carob, pomegranate, fig, olive, walnut, and other endemic medicinal plants. HAF and community partners will plant hundreds of thousands of trees over the course of the 2019 season. HAF Director of Projects Amina El Hajjami said “planting trees not only generates significantly higher incomes for farmers and local families than the traditional crops of barley and corn, but they also provide food security and environmental rehabilitation”. “Local communities can see returns from fruit tree harvests within two years for pomegranate trees and 5 years for almond and carob trees,” said Mrs. El Hajjami. “We are encouraging all communities across Morocco to make the most of this year’s tree planting season and invest in their future livelihoods today. We will be present in different parts of the country on Monday 21st January to assist those who may have never planted before, how to plant their trees for optimal results,” Dr. Ben-Meir said.